"Second place is first loser"
Stag parties are a great place to pick up old sporting rivalries (or develop new ones) as you battle it out once more against sporting friends and foes. 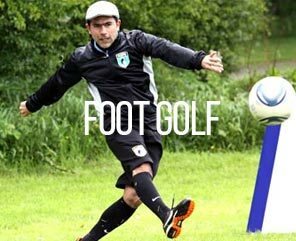 Whether its games you've played before like golf or football or completely new sporting challenges like clay pigeon shooting & foot golf we have hundreds of sports based activities to choose from. Many cities have incredible sporting histories, so when planning your party if you have a sport or team in mind then that can help to start building your package. If you have a particular team, sport or destination already sorted you can speak to our destination and activity experts who can advise you on the best options available. It's all part of the service and we'll be happy help you create a personalised package tailored to your party. Call us send or an enquiry today and we'll get the ball rolling... (see what we did there?). The "beautiful game" is celebrated the world over and the UK and Europe are home to some of the finest teams in the world. Your football party might want to learn a little more about a preferred team or get your game faces on and get playing. Golf is an absolute classic, allowing plenty of time for banter while keeping those all important sporting rivalries alive (and perhaps a gentlemen's wager on the side). Our sports challenge incorporates 10 different sports. The format; You'll group will be split into teams before tackling each separate sport round by round with points awarded after each of the sport. This is a great activity for a combined group of sportsmen as the various team members will level out each other's skills and weaknesses. A serious challenge for serious players... With plenty of laughs and banter thrown in for good measure.